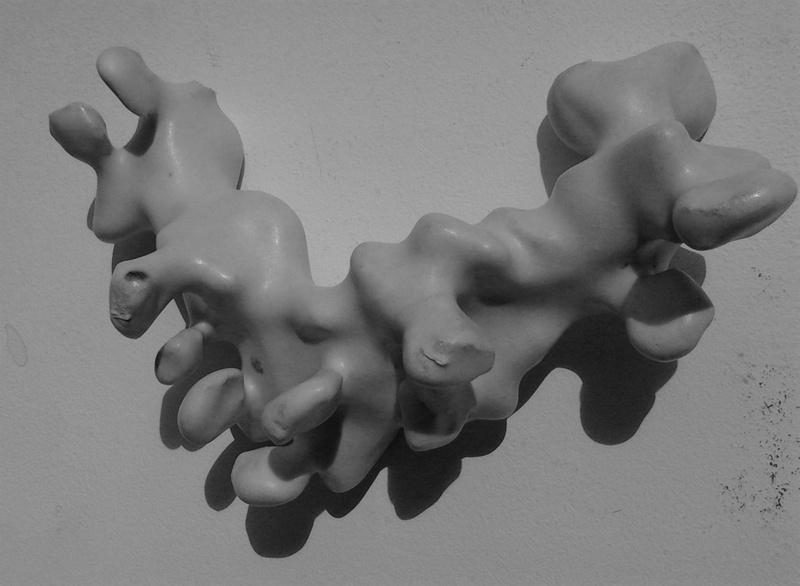 The series 'Organical' resulted from an exploration of concepts like structure, form, shape and its appearance. 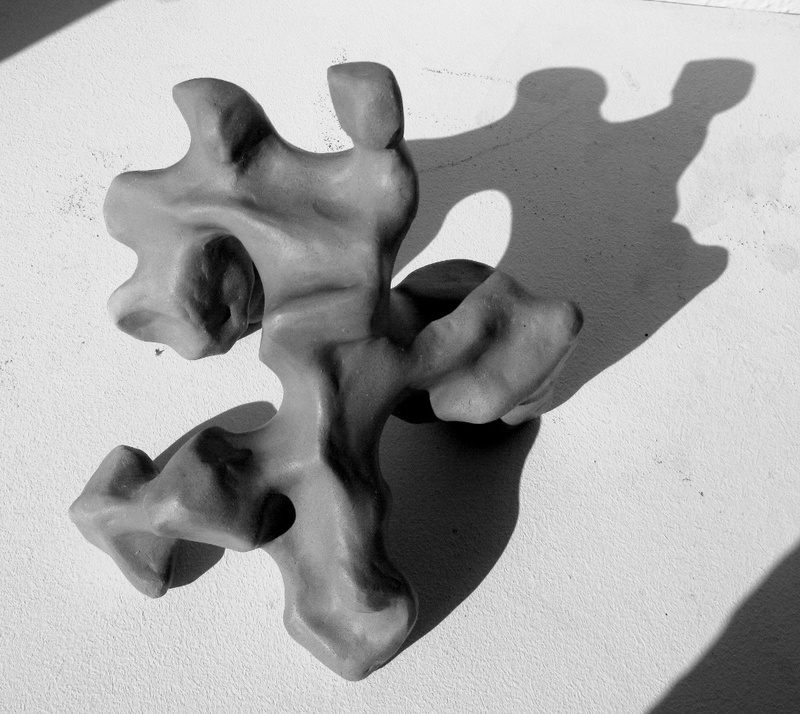 It rapidly evolved into (human) bone-like structures. 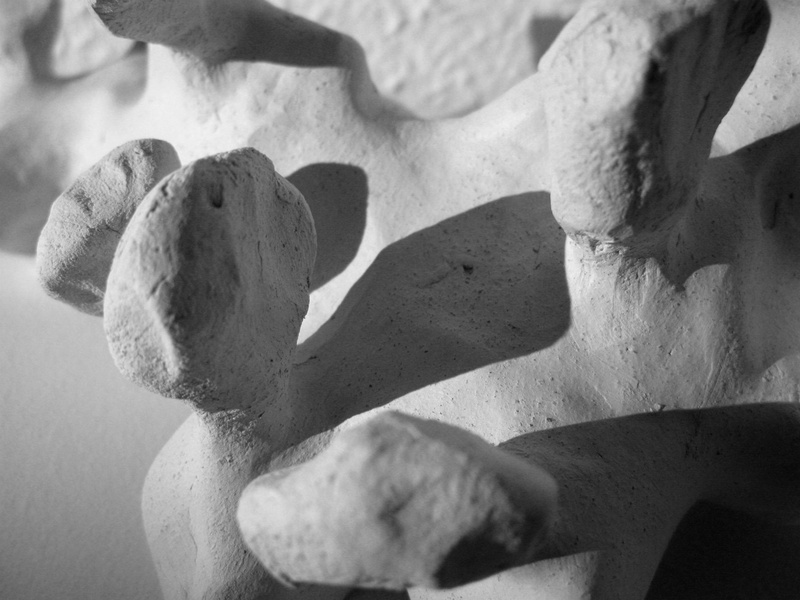 Vertebra and bones provide us with strength and solidity. 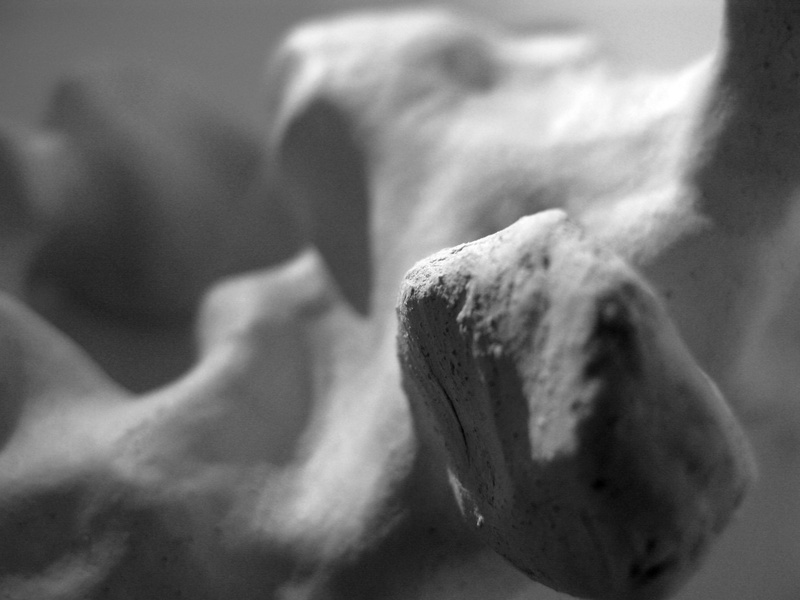 It defines, and limits form itself. 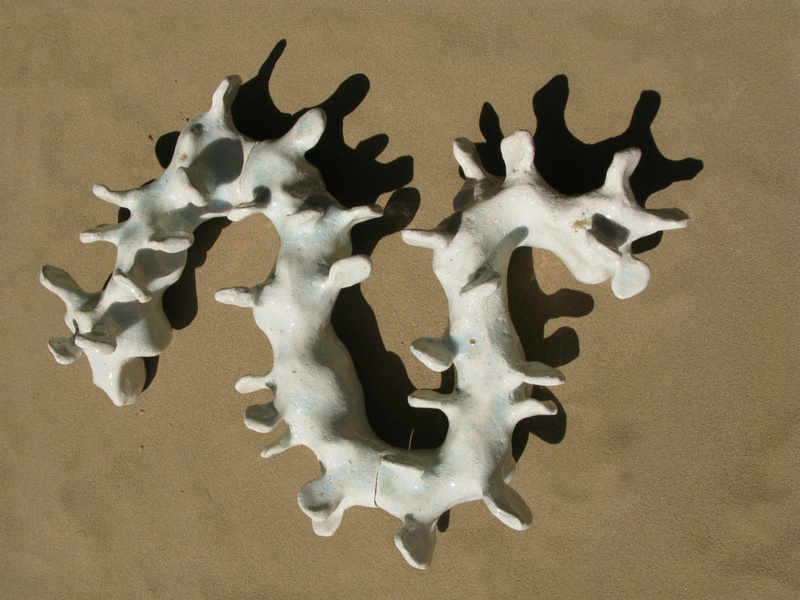 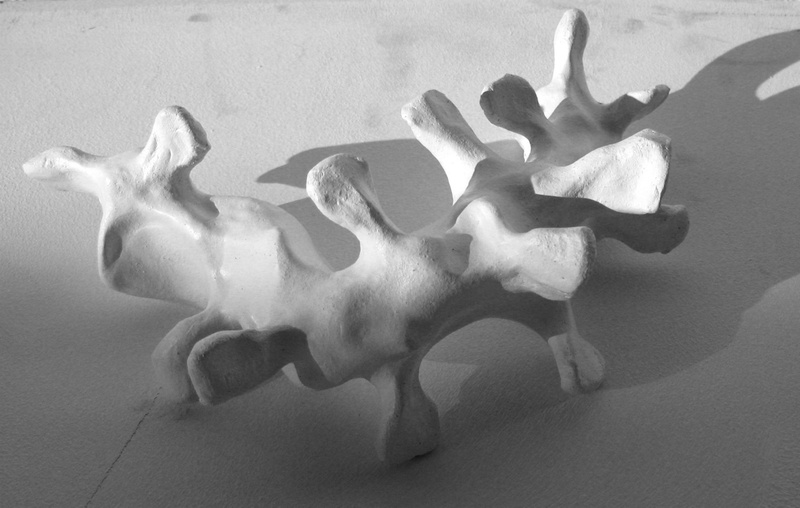 The vertebrae forming the spine have 'human' appearance. 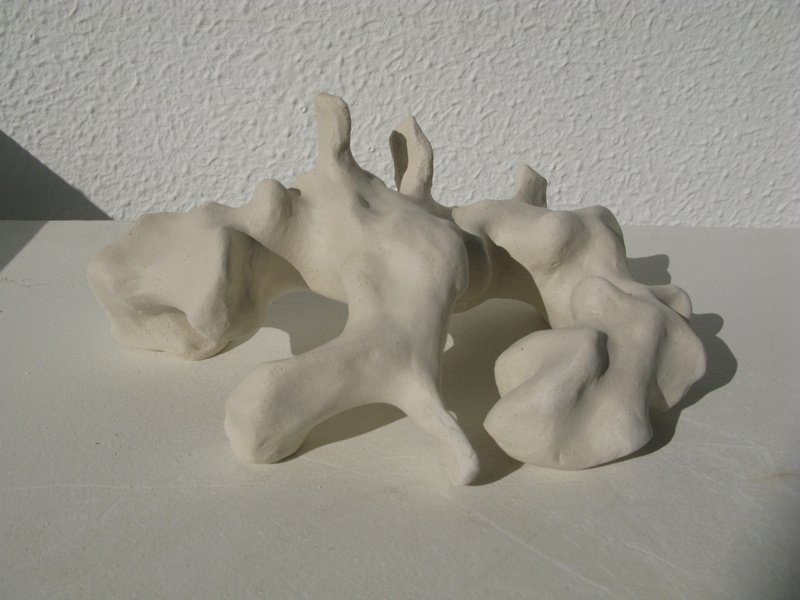 The 'spine on the sand' was exhibited in Oryahovo (BG) 2012. 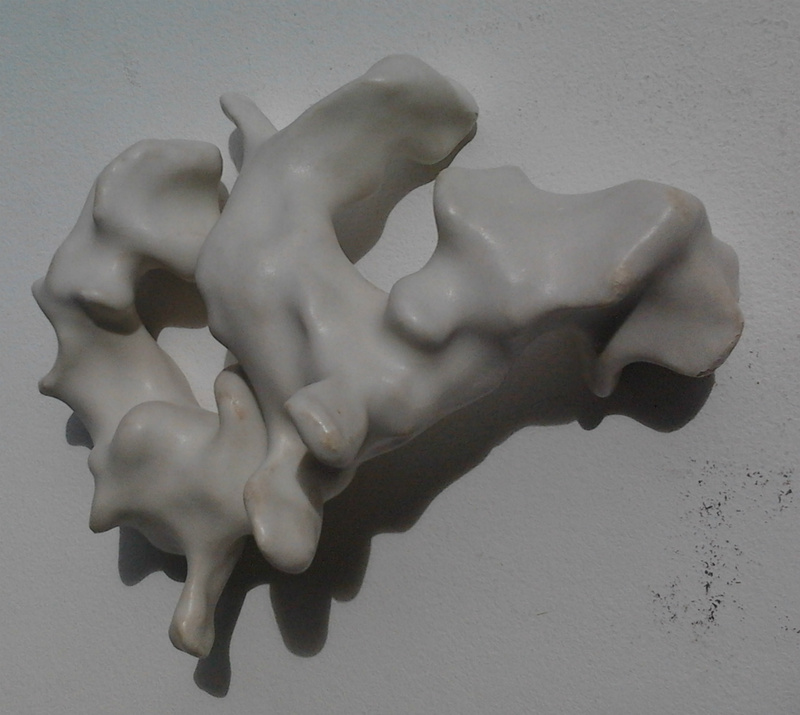 This ceramic sculpture (3 pieces) represents the river Danube (the central theme of the exhibition). 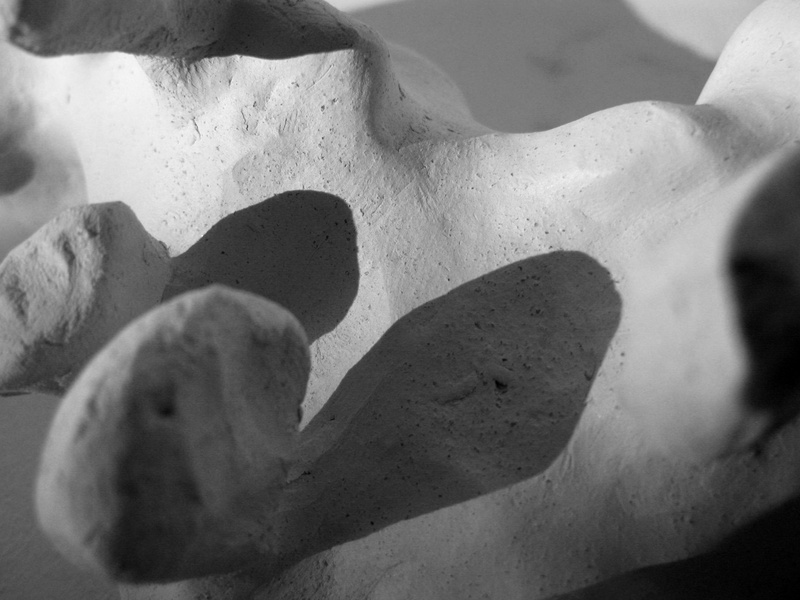 As the spine shapes and forms the human body, it also shapes the landscape. 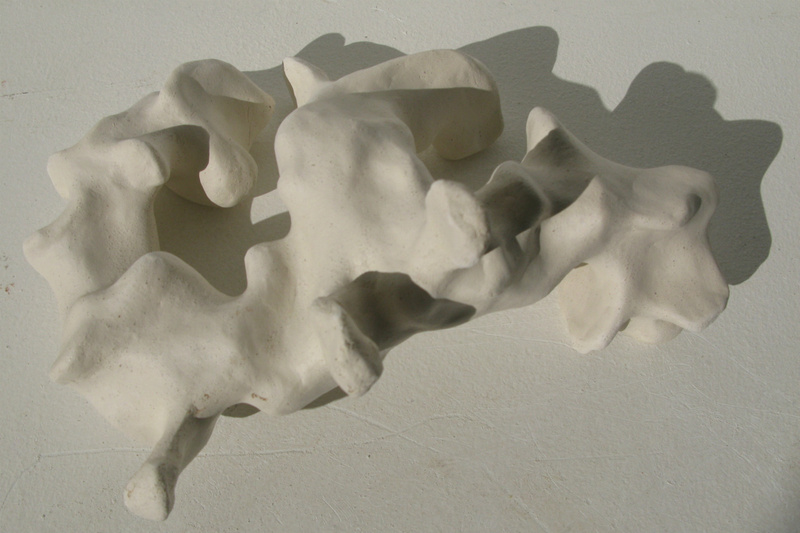 The vertebrae represent all people's living alongside this majestic river.